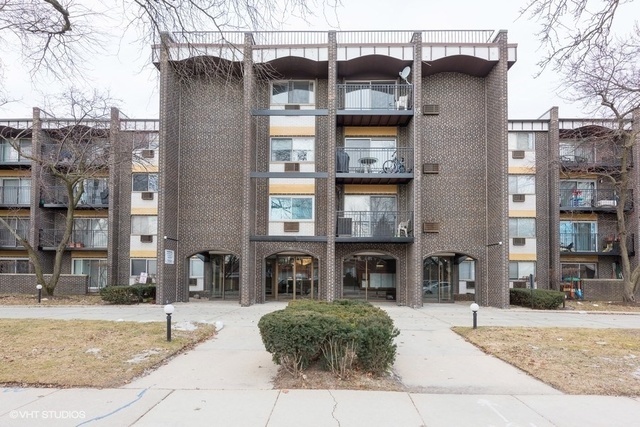 Amazing West Rogers Park location at the Royalton! 2br/2ba unit on the 2nd floor. This layout has a large living room/dining room area with hardwood floors, molding, and tons of recessed lighting! Both bedrooms are nice sized with ceiling fans and ample closet space. There&apos;s a balcony with Southern exposure and plenty of natural light in the unit! There is also a master bathroom! Convenient living! Assessments include heat, cooking gas, water, parking, storage locker, snow removal, scavenger, and more!